Last blog was about usage of colors in the UI, you can read it here. Typography can be defined as the visual component of the written word. In the digital world typography is gaining more and more importance as it is one of the feature which can help to be distinctive in a stream. Using right font is important as well as daunting task. Considering there are thousands of beautiful and neatly crafted typefaces available in the market, how do us designers comes down into one or two? That is what we are going to discuss here. Serifs are for print. They looks better in print materials. In digital screen serif typefaces are unnatural and not really a visual treat. Which is why we have san-serif typefaces which is digital adaptation of serif typefaces. How do we know what is serif and what is not? Serif typefaces will have a small decorative line added as embellishment to the basic form of a character. San-serif is those typefaces without serifs. Most common serif typeface is Times New Roman and most common san serif typeface is Helvetica. Pairing font is an art. In UI it is best to use a pair of fonts for heading and paragraph respectively. Using two distinct font for heading and paragraph helps you to set visual hierarchy. What to save time? 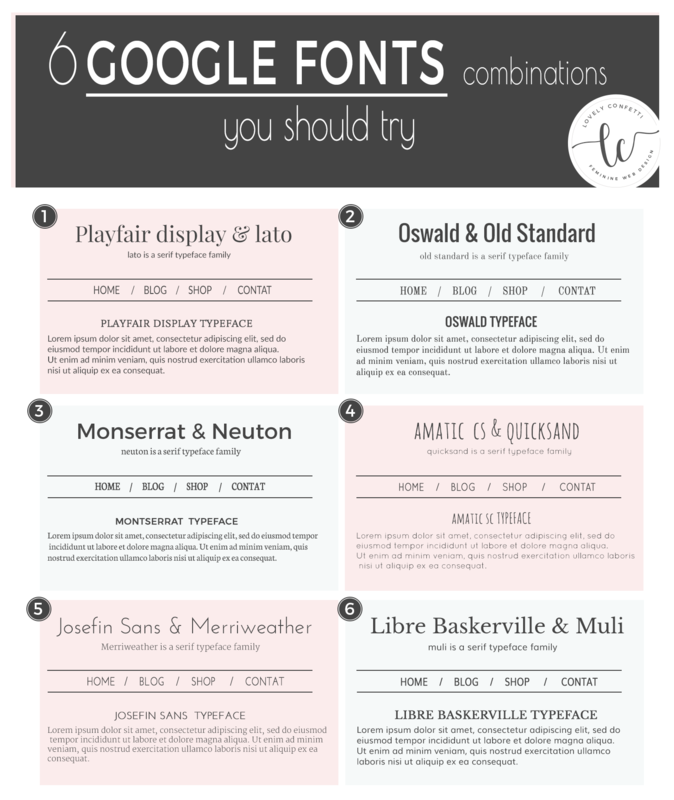 Go to fontpair.co, it is a database of font pairs with google fonts. Legibility of fonts should be maintained if you want to communicate the idea. Make sure the spacing, kerning and font style is optimal and legible. Above image have same text, same size same kerning but different typefaces, you can see for yourself why gothics and san-serifs rocks in digital world. Using highlighters to highlight links and important texts are legit practice. But over doing it will affect the visual hierarchy. Don’t do it unless it is absolute necessary and only if it doesn’t meddle with visual balance. Here is an ultimate tip. When in doubt, use gothic typefaces. These are automatically best for digital screens. They are made for it. Gothic type faces are initially used to describe the new typeset with graceful geometric looks because it looked like ancient roman letterings. Century gothic for example. Gothic fonts are one of the most sought after design asset in the digital age because of its legibility and readability in almost any sizes.